Dehydroepiandrosterone-sulfate concentrations in Japanese Macaques: the influence of age and season. 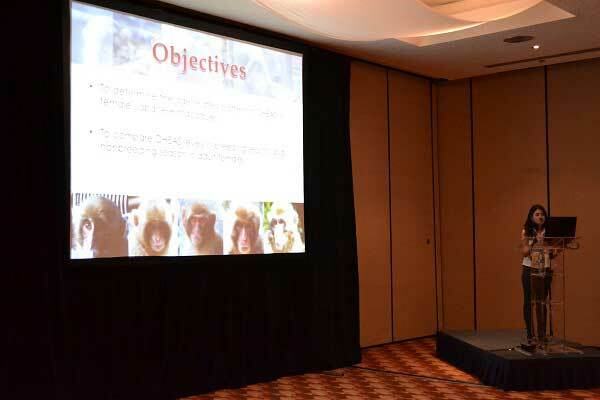 From 12th to 17th of August, I participated to the XXIV Congress of the International Primatological Society, held in Cancun, Mexico. I attended many interesting seminars, especially concerning ecology, conservation, and animal welfare. It was very important to give me an overview about those subjects in primatology. On the second day, I presented the preliminary results of my master's thesis, entitled "Dehydroepiandrosterone-sulfate concentrations in Japanese macaques: the influence of age and season". It was my first presentation at an international conference, and I believe that it was essential for my study, since I got feedback from experts on the topic. In addition, it was a great opportunity to exchange information with other researchers. After my talk, I met with Dr. Toni Ziegler and Dr. Tobias Deschner, both experts in endocrinology, the focus of my research. They gave me some advices and good suggestions for my future studies. 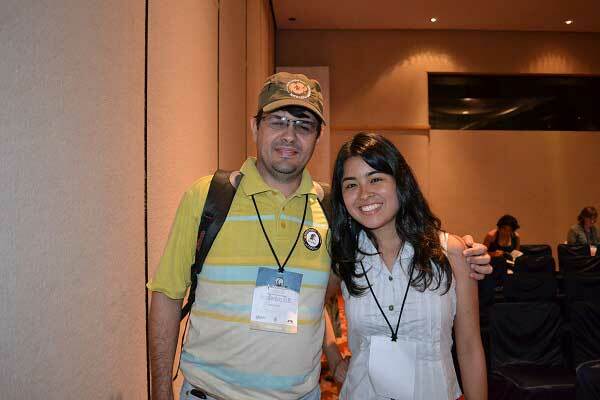 I also met some professors from Brazil, as Prof. Frederico Ozanan, from the Federal Rural University of Amazon (UFRA). According to him, UFRA and the National Primate Center (CENP), located in Amazonia, have interests in establishing cooperation with the Primate Research Institute (PRI) of Kyoto University. The Congress was an excellent opportunity to introduce him to Prof. Tetsuro Matsuzawa, from PRI and to discuss about this relationship and its future prospects.